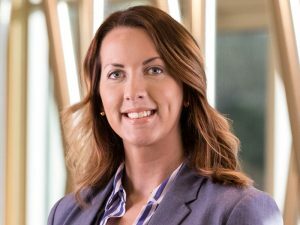 EDINA, MN – January 31, 2018 – Hellmuth & Johnson, a growing Top 20 Minnesota law firm, announced today that Kayla J. Giese has joined the firm. In her practice, Giese represents individuals and companies in various types of litigation, including commercial matters, construction defects, contract disputes, and more. Her prior work experience gives her deep knowledge of the insurance industry, business transactions, and the court system. Before joining Hellmuth & Johnson, Giese represented insurance companies and defended cases involving large loss and catastrophe litigation, including fires and explosions, product liability, property and casualty litigation, and personal injury. Giese earned her J.D. from Hamline University School of Law. She received her undergraduate degree from the University of Wisconsin – La Crosse.